You can find out more by visiting Dave Cousins at his website, his blog, on Facebook or on Twitter. Now I'm going to hand you over to Dave so he can tell you all about the essential items that no author can live without! On my desk: objects no writer should be without. If I have to, I can write almost anywhere: on trains, in libraries, in the park, while walking (this one needs a little practise though). Sometimes you have to take the opportunities when they arise. Having said that, it’s important to have a space, however small, dedicated to writing – a room of one’s own, if you like – somewhere your brain recognises as the place you work. For me, that’s a corner of our attic, on a makeshift desk, surrounded by boxes of Christmas decorations, videos and old toys. Unlike Ted Hughes, who had five desks, I have only one, though my table has had various shelves bolted on over the years. 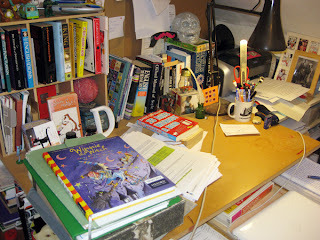 It’s a mess – but one in which I feel comfortable and of course, know exactly where everything is. Within easy reach are my stack of word books. It sounds an obvious thing to say, but I do like words, and I’m fascinated by etymology. 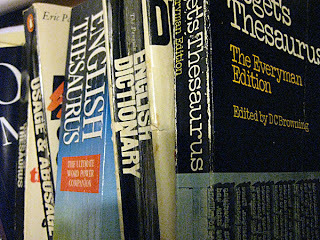 I can lose hours in a thesaurus! This collection includes the dictionary my wife used when she was at school, complete with doodles and margin notes, which can add unexpected moments of humour when looking something up. 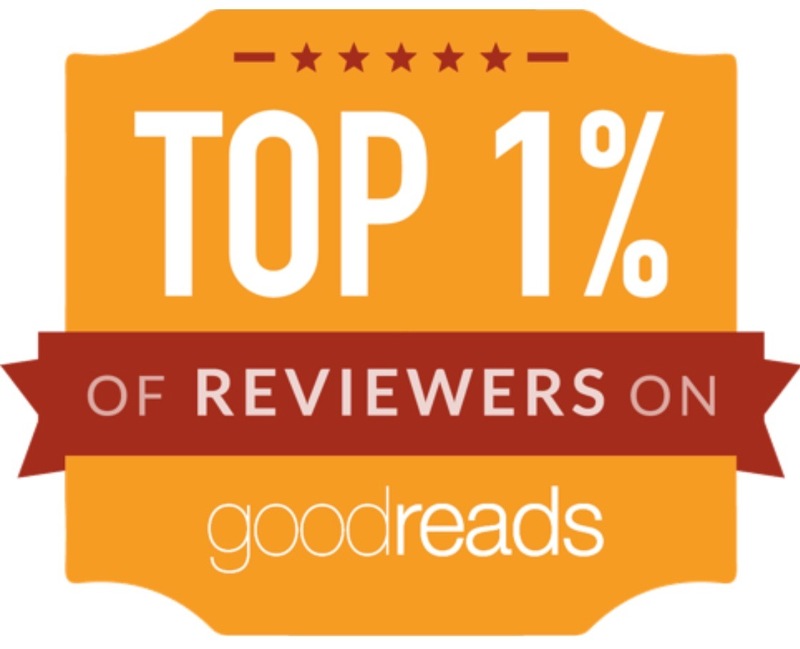 One of the most common questions asked of writers is where do you get your ideas from? It's an enquiry that many will struggle to answer. Not me. I know exactly where my stories originate. 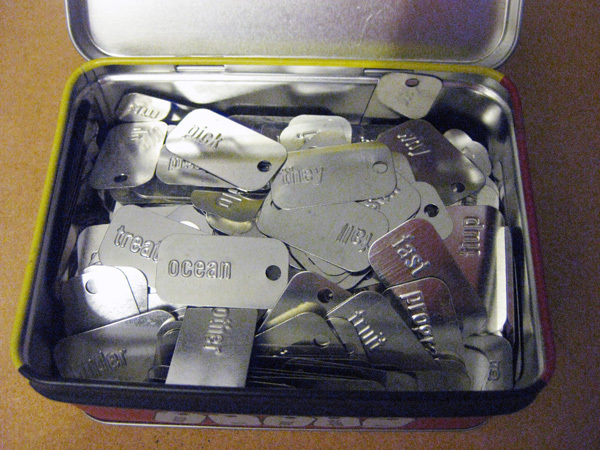 On my desk there is a metal box, 18cm wide by 9cm deep and 8cm high; I call it The Word Tin. It contains all the words I need, stamped into small strips of metal, like dog-tags. To build a story, I simply delve into the box, pull out a handful of words and put them in the right order – easy! Unfortunately, I’m joking (but imagine if such a tin existed! Now there's an idea for a story …) The tin is real though, if not magic, and I have once or twice tried to conjure a story the way I described; it produced some interesting, if not exactly publishable, results. On the shelf next to the Word Tin is The World’s Largest Rubber Band Ball – at least it will be when it’s finished. My youngest and I have been working on this for years – only red Post Office bands are eligible. We convene at the end of each day to empty our pockets of leaves, grit and anything else we might have picked up along the way, and count the day’s haul of rubber bands. We thought it was going quite well until we visited a friend’s house and saw theirs was twice the size. Still, size isn’t everything … except when you’re trying to create the World’s Largest Rubber Band Ball, I suppose. The Big D in front of the ball was a present from my wife. To remind me who I am, when I get lost inside my own head, which I do often. 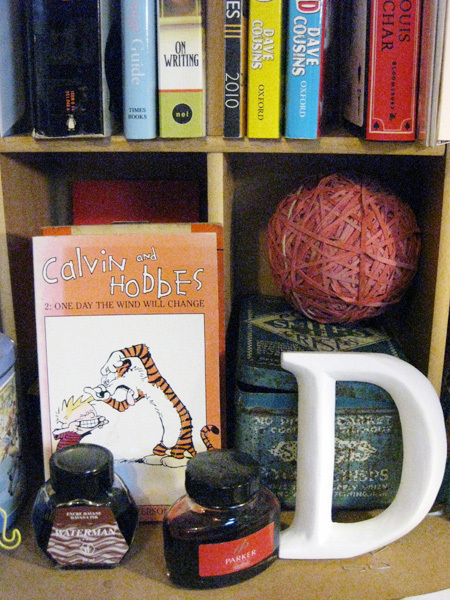 To the left of the D is a Calvin and Hobbes book. I like to have this on my desk for inspiration. It’s an over-used term, but Bill Watterson, is actually a genius. Calvin and Hobbes is as near to perfection as it is possible to get. Funny, wise and heart-felt, Watterson’s strips are beautifully drawn stories featuring two of the best characters ever created. Reading a few pages of Calvin and Hobbes never fails to inspire, enlighten and put a smile on my face. Most of my writing is done on an Apple MacBook, but I have three fountain pens and, as you can see, bottles of different coloured ink. I like the ritual of refilling the pens from a bottle and getting ink all over my fingers – it makes me feel like a proper writer. I rarely draft stories in longhand these days, but I do write lots of notes and scribble on manuscript pages. I enjoy the physical act of writing with a nice pen. I use red for marking up scripts, and blue and brown for notes, depending on how I feel. I also have a tendency to draw decorated boxes around paragraphs and arrows pointing to things – it’s good to know all those years at art school weren’t wasted! The top of the bookcase on my desk is known locally as Diamond Dave’s Retirement Shelf for Toys. 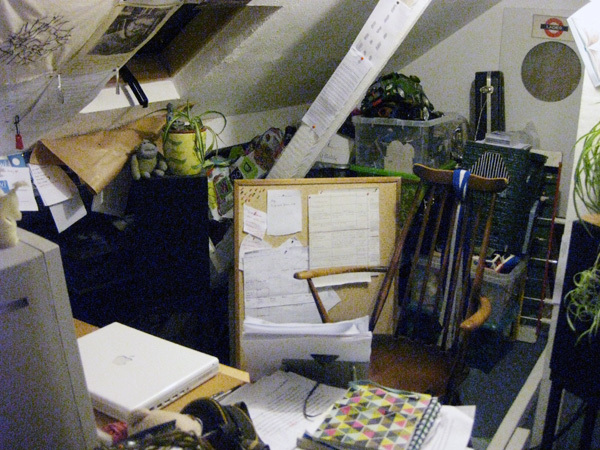 In case you haven’t already worked it out – I’m a bit of a hoarder. I find it hard to throw stuff away, especially objects that have some meaning. My Toy Retirement Shelf has some items from when I was ‘officially’ still a child, though the ones in the picture all belong to our youngest. We spent many happy hours together watching and playing Turtles – Mutant Ninja, as opposed to Hero. In the picture you can see Michelangelo in toddler and adult form. Everyone has a favourite turtle (don’t they?) and Mikey was always mine. Before Turtles it was Thunderbirds and Stingray – on my hands and knees searching for those ‘teepeedoes’, when they’d been fired under the settee for the millionth time. The brown guy with the beard is a Pete Fowler Monster – a present from an old friend. Pete Fowler produces a lot of the artwork for Gruff Rhys and Super Furry Animals, as well as many other weird and wonderful artworks and creations. The owl was one of a series my wife made. I like its air of quiet wisdom. I was a huge fan of Scooby-Doo as a kid. It was one of the cartoons I’d run home from school to watch. This, of course, was back in the days when there were only four channels, and children's television occupied a narrow late afternoon slot before the early evening news. I have to admit that I always thought the credits looked scarier and more exciting than the actual shows, but there was something about Shaggy and Scooby that appealed. They were funny, easy-going and cowardly, yet never deserted each other in a time of crisis. 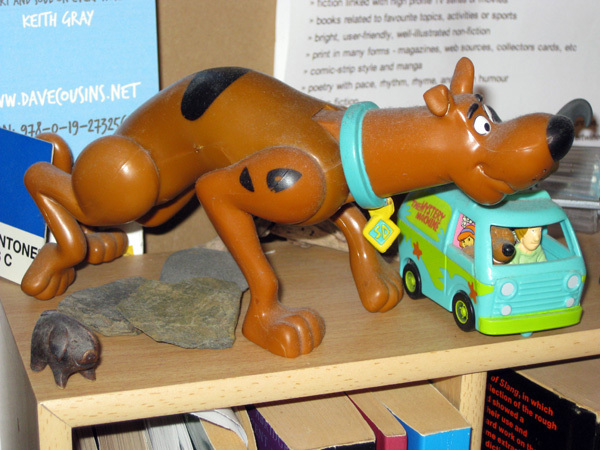 I suppose it was natural that my dog-obsessed character, six-year-old Jay in 15 Days, should choose to identify with Scooby. It is a testament to Hanna-Barbera head writers Joe Ruby and Ken Spears, along with artist and designer, Iwao Takamoto – that Scooby-Doo is still on television nearly thirty years later. 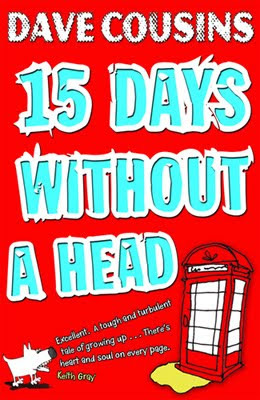 Scooby must also take some of the credit for the fact that 15 Days Without a Head is being published. When Oxford University Press invited my agent and I to their offices to pitch for the book, they not only got a male member of staff to dress up in women’s clothes and serve dinner (all will become clear if you read the book), they also presented us with a box of home-cooked Scooby Snacks each. I have to admit, that pretty much clinched the deal for me! Wisdom watches over me while I write! 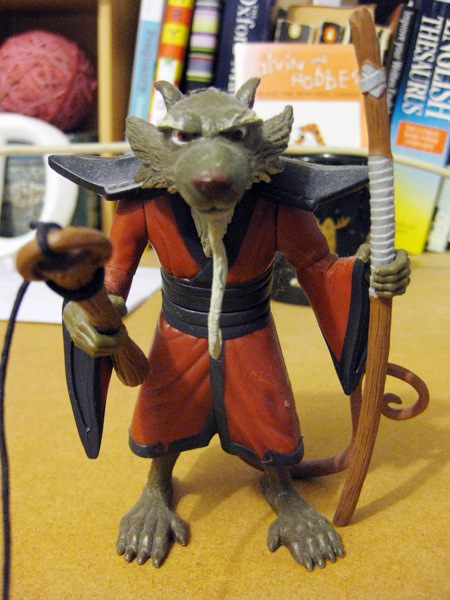 Another character from the Turtles – their surrogate father and sensei, Master Splinter, stands directly opposite me as I write. If I look up from my screen, I find myself confronted by his steady gaze; it’s a little intimidating if I’m honest, but keeps me working. 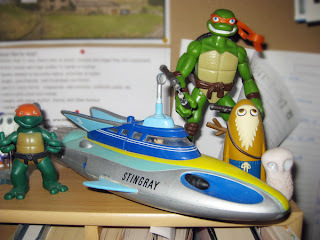 This figure is from the 2007 TMNT movie – my wife and son spent years trying to track one down, which is why he takes pride of place on my desk. 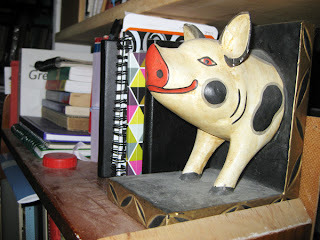 The Book-End Pig stands guard on one of my many bolted on bookshelves. This is one (half anyway) of the pigs from my grandmother’s collection. In 15 Days, Laurence and Jay are momentarily saved by the money they find in a grotesque “Frankenstein’s Monster of a piggy bank” on top of the fridge. Laurence explains to Jay that their Nanna collected pigs when she was alive. 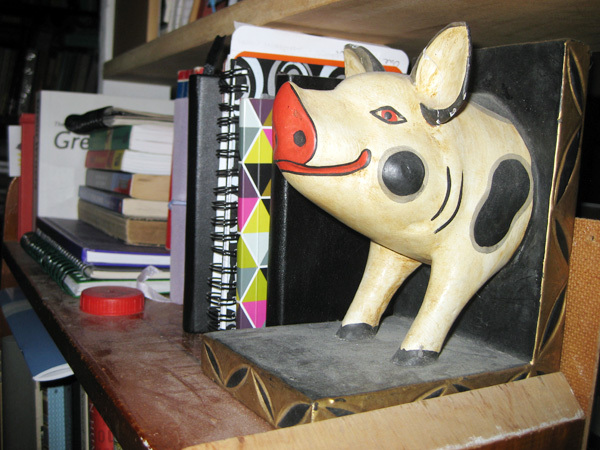 This was based on my own Nan, who had hundreds of pigs in various forms, on shelves in her kitchen. My Nan was a great reader – we used to swap books, and between us collected an almost complete set of Robert Westall novels. Sadly, my Nan didn’t live to see 15 Days published, but I think she’d be glad that she found her way into the story itself, and that the Book-End Pig is being put to good use! Thanks so much for a fabulous guest post Dave, can I just say that I'm very jealous of your rubber band ball - it makes mine look absolutely pathetic! I love that you have such an eclectic mix of items on your shelves, thanks for taking us on a tour. 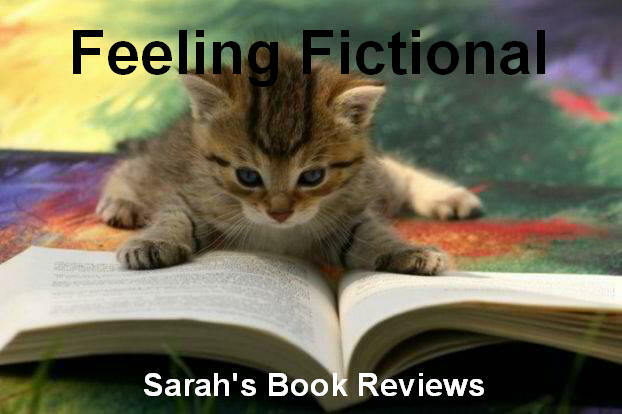 Don't forget to check back later today to read my review of 15 Days Without A Head and make sure you go out and pick up your copy tomorrow! 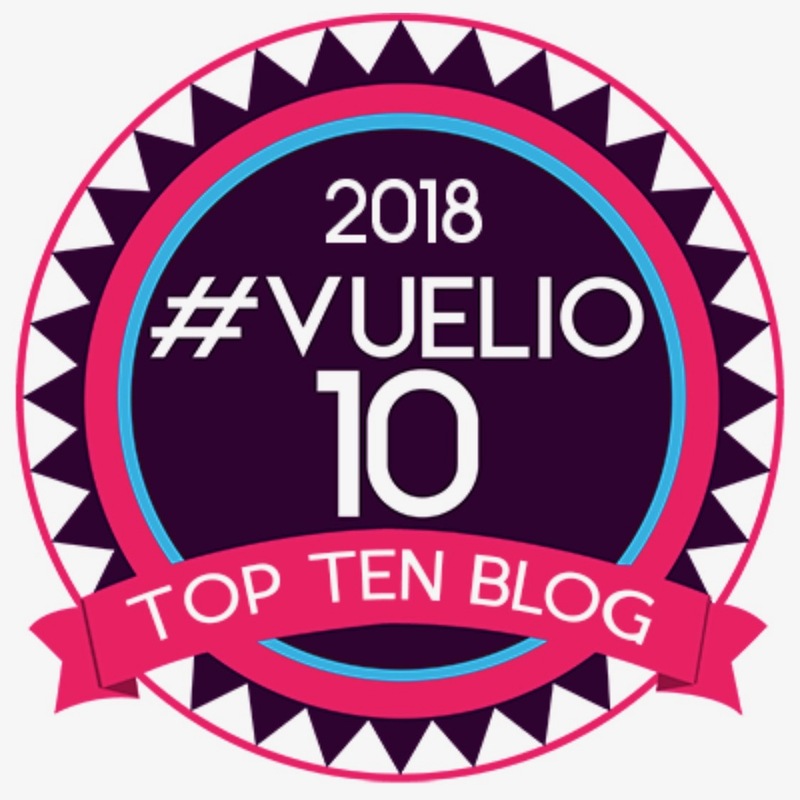 Also, check out the banner below for details of the other stops on the blog tour to find more fun guest posts from Dave. 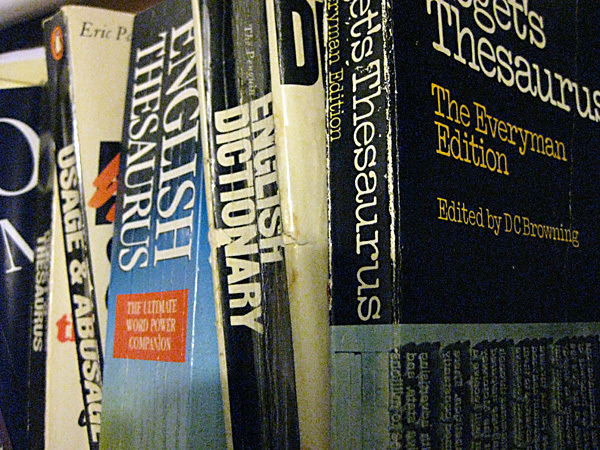 I have the exact same dictionary as your wife had at school. Only mine has lost the front cover! Your rubber band ball puts mine to shame! I must be more vigilant in my quest for rubber bands. i love the organised chaos. very much like my flat in that sense. ace post! This is an amazing post. I adore the chaos that is your desk. My favourite is that Splinter watches you write. Aha, brilliant. The cover on my dictionary is held on by hope alone, Vivienne! 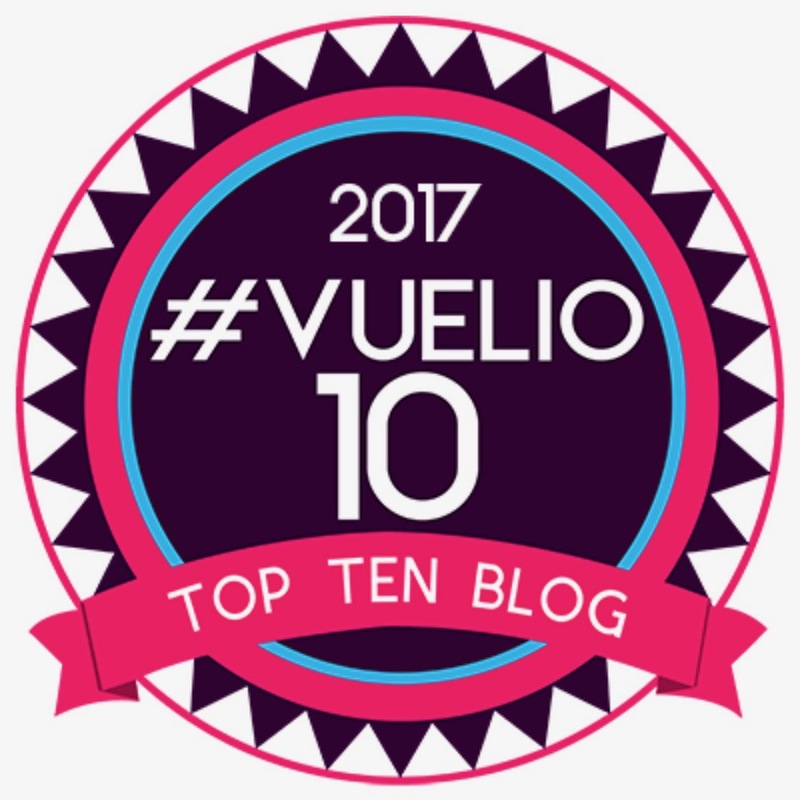 Organised chaos – exactly! Thanks, Laura – I'm glad somebody understands.